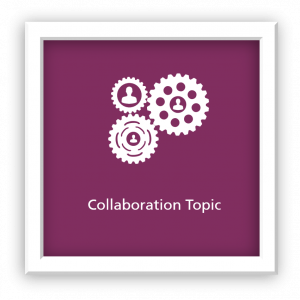 The Collaboration Topic Questionnaire is aimed at supporting the potential catalyst SME to identify topics for future collaboration between potential cluster partners. 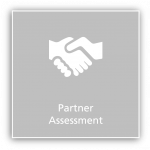 Most topics of daily business are or have to be dealt with internally, without external support or in cooperation with other partners. But there are some usually selected topics, which although relevant for the SME business development, are too complex, too new, too risky etc. for it to manage them successfully alone, meaning internally in the SME. This questionnaire can be thought of as a first step to support the catalyst SME check those topics, which are of relevance for its business development and whom the SME would like to endeavour jointly with other partners, either to explore new opportunities (value creation) or leverage its current business performance (value extraction), share risks or simply similar questions and interests about a specific topic. Both two circumstances – relevance and motivation/willingness – have to occur simultaneously. 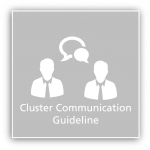 They are the ying and yang of SME clusters success. 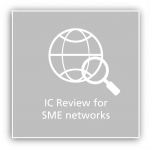 Both two are at the back of the SME future commitment to the clustering initiative, critically informing and influencing the SME prospects of resources allocation to this respect. In this purview, a fundamental task of the CFT will be to ensure that the topic(s) initially selected by the catalyst CM respond to both two requisites. This is also true for the potential other partners joining the cluster. The questionnaire contains nine general topics of collaboration which the CM should assess according to their relevance for corporation. The topics are derived from empirical research, meaning in average European SMEs do cooperate with other companies or other partners for at least one of these nine topics. 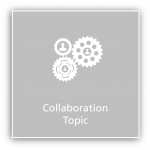 In a later step, the most relevant topics will be specified in more detail with the help of the CFT in order to help the catalyst SME to find the right partners to set up the future business collaboration.